Using Thinking Styles: an anti fouling measure. 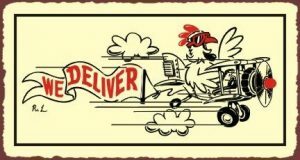 I was fascinated with the issues that came home to roost recently between KFC and DHL in the failure to supply chicken to the former’s raft of fast-food restaurants across the UK. As a workforce development coach and facilitator, I work with individuals and teams to improve performance using Mindsonarâ as well as Language and Behaviour Profilingâ. These two powerful psychological tools identify thinking and motivation styles (known as meta-programmes) and one’s values? The philosophy behind the tools are no single thinking style is good or bad, but some are more helpful than others, depending on the context. I have applied the meta-programmes to this situation and this is my view only, I suspect that it may not be far from reality having listened and read various news snippets. The DHL senior team are highly motivated to achieve and in metaprogramme terms, they are: Pro-active, Towards, Internal, Options, Future and Matching. They are motivated and talk about the future goals they want to achieve. They can see where they want to go and have a ‘big picture’ view of how to achieve it. They know and trust their own beliefs and approaches, and do not feel the need to seek other views, as they are right. They probably see and create many possibilities, jumping into action with both feet. They move forward at pace, potentially not noticing any pitfalls. Finally, they are also able to see the relationship between the collective thoughts and what will work – in other words, they are highly optimistic. On first glance, this is great. Metaphorically, they are the ones who will go out and bring the chicken home! Exactly what you want when looking at new opportunities and expanding the business. However, and it is a big ‘however’, at some point, a team needs to switch the thinking style to ensure they don’t count all their chickens until they have been delivered. Reactive, Away From, Matching, Procedures, External, Specific and Present and Past. They should have looked before leaping, taken a step back and reflected on all of the possibilities with a level of detail, going over the specifics to identify potential mistakes and actual miscalculations. They would have been better to listen to those working in the present environment while seeking opinions on the past to identify previous pitfalls. Going out to the team on the shop floor and listening to those beyond the management team would have helped them to challenge their assumptions and allowed the creation of necessary steps to prevent or minimise errors. Sounds sensible when you think about it? So why did this important contract start to fall apart? A divide between values and culture of those in strategy and those in operation. It is likely these errors will have been made before, possibly not of this magnitude, but the organisational memory will have been discounted over the creative possibilities and pursuit of progress. Being cooped up in one style of thinking and unaware of one’s blind spots will leave egg on our faces. Where possible, we should harness the whole workforce. Harnessing the strengths and recognising blind spots, refreshing the company values and teams while addressing organisational culture may have avoided this costly mishap. I am sure DHL will now break some eggs when cooking their next omelette! If not, then they may well be out-foxed! Look out for my next article on values and culture – Oxfam.